Yaskawa Motoman’s MLX300 software option is the newest generation of integration for Yaskawa robots and PLCs. 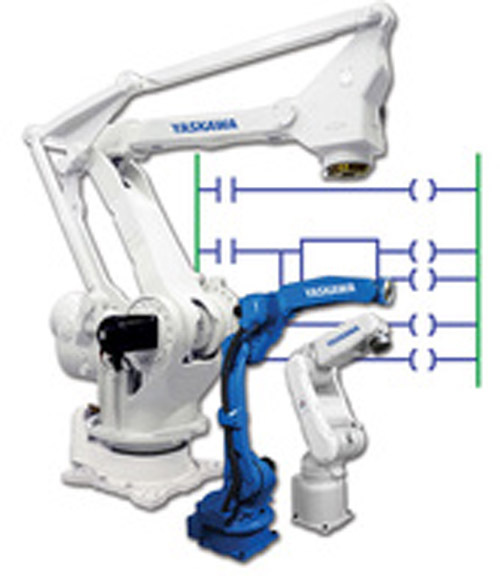 The software enables operators to control and program Yaskawa robots in a standard PLC programming environment, eliminating the need to learn a specific robot programming language. All program execution is performed by the PLC; the motion control is handled by the kinematic algorithms of the Yaskawa robot controller. Supported PLCs include CompactLogix, ControlLogix and GuardLogix.